Phong Nha Cave is one of the most beautiful attractions in Vietnam that is recognised by UNESCO World Heritage Site and attracts both foreigners and the local. Each year, the quantity of tourists coming to the cave is more and more. For the best route to explore, some below tips will be helpful for Phong Nha Cave tours. Where is Phong Nha Cave? Phong Nha Cave is located in Phong Nha- Ke Bang National Park in Quang Binh Province, in the north of the Central Coast region of Vietnam. 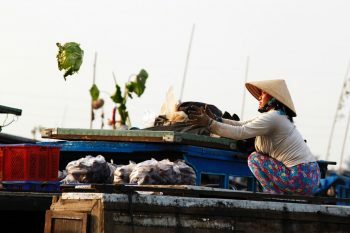 The cave is around 450 km south of Hanoi. You can choose one of three ways to come there: motorbike, car or train. It takes 7-8 hours from Hanoi to the Phong Nha dark cave tour. The appropriate time for your adventure is during summer. Coming to Phong Nha Cave, travelers will enjoy the mysterious nature sight. The cave is not only a wonder of Vietnam but also a natural legacy of the world. Here consists of many amazing things. Phong Nha cave tour 1 day is the best chance to experience when coming to Vietnam. The entrance tickets price for the cave is VND 150,000 / person / visit with adult. Children is under 1.3m in the height will be free to visit the cave. To discover Phong Nha cave tour 1 day, you have to go boat because the entrance road to cave is river. Son river is fresh and its water is pure that visitor can see the bottom through the water. 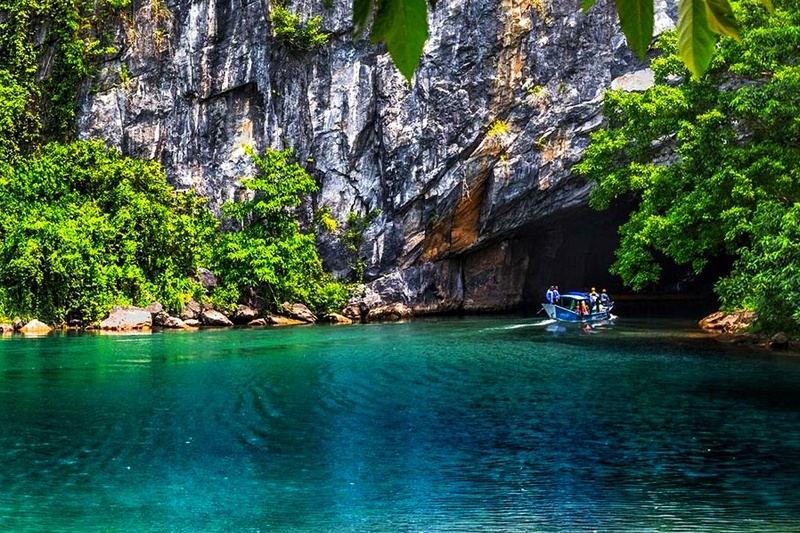 The sight, including river, mountain, is beautiful, so you feel relax there on your spectacular boat trip through Phong Nha Cave. It is an enjoyable experience in your tour. 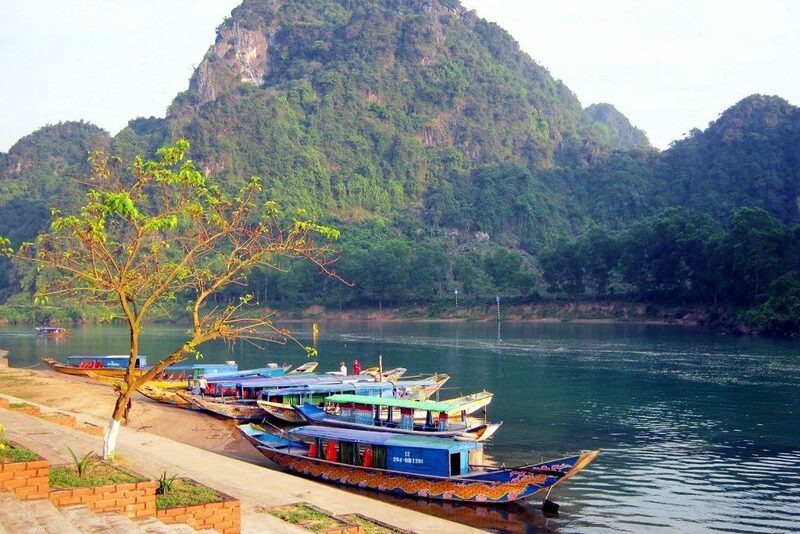 It takes 40 minutes by boat on the Son River to Phong Nha entrance. Boat ticket for transportation costs 360,000 VND/ boat for up to 14 people to visit Phong Nha dark cave tour. 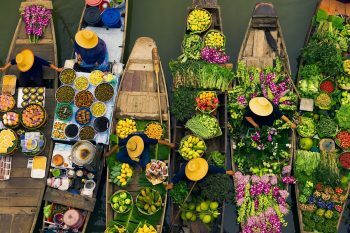 You can rent private boat or come along with others. Remember to put on life vest for your safety. Phong Nha Cave is one of the most beautiful caves in the world. The cave is gorgeous which makes travelers feel be lucky to be able to go inside there. Maybe it’s the best cave tour in Phong Nha. Here is a huge limestone cave with the age of hundreds of millions of years ago. 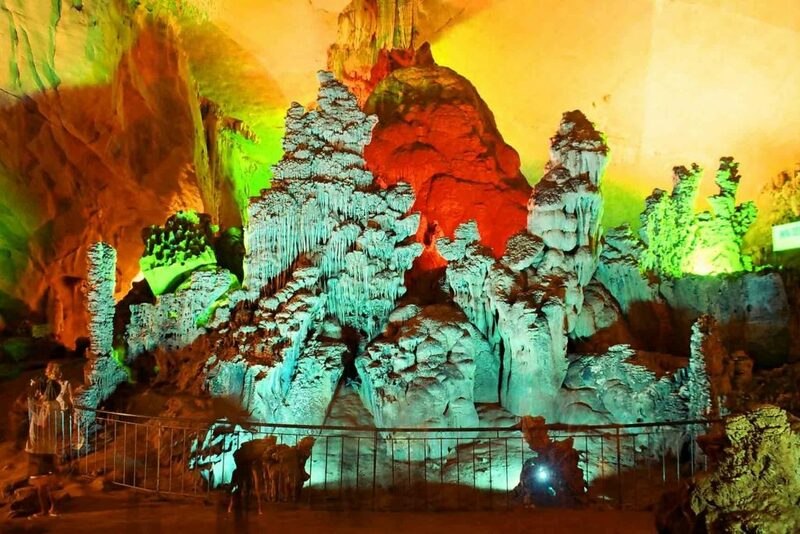 When entering the cave, travelers will have an opportunity to admire a subterranean world of stalactites and stalagmites of diverse shapes and colors. Stalactite and stalagmite, elongated forms of various minerals deposited from solution by slowly dripping water. 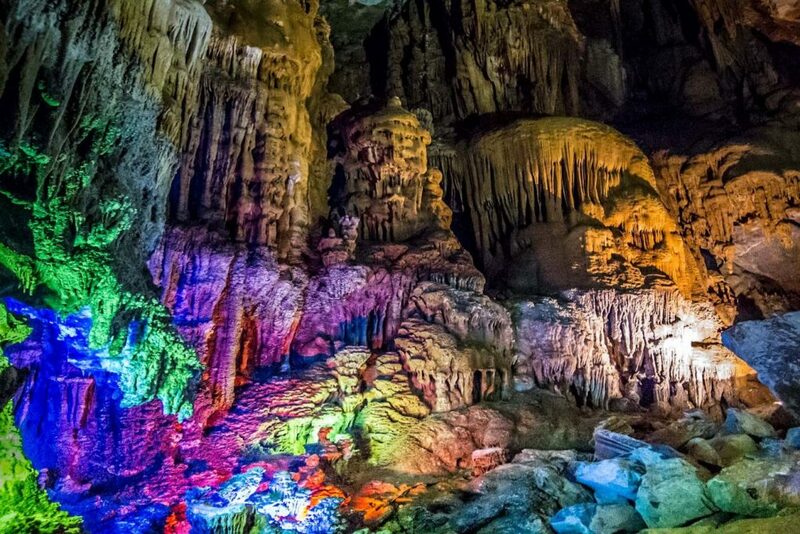 In Phong Nha cave, they are colorful: red, purple, green, etc. According the before reports, the explorers said that Phong Nha had Vietnam’s most beautiful underground river. The entrance of the cave is high and wide. Phong Nha cave is the longest water cave and dry cave in Vietnam with beautiful sandy floor. There are magnificent stalactites and stalagmites. The cave is not only a natural legacy but also a historical place. Inside the cave, we can see traces the writing carved on the rock by ancient Cham language. 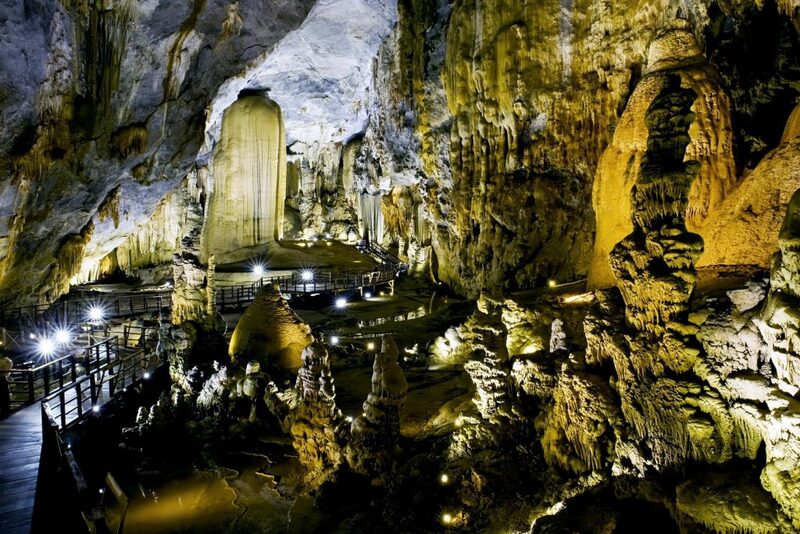 With one day Phong Nha cave tour, visitors can explore the nature and see miracles. Massive stones in the cave have total length of up to 20km. The halls of cave are painted and lighted. We are excited and scared at the same time because of the mysterious sight. Forms of stones are magical shapes such as the looks of Mary, the angels fly, crocodile, lions. People in there are friendly and warm. 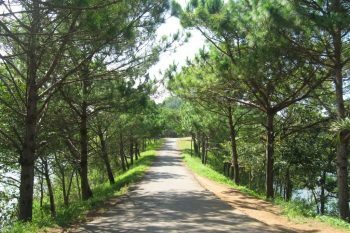 You can enjoy their life after finishing your Phong Nha National Park tour. 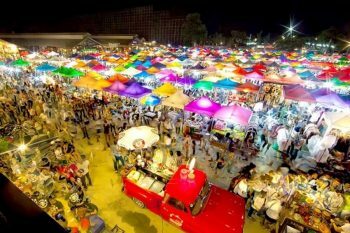 Hurry up, come and enjoy!